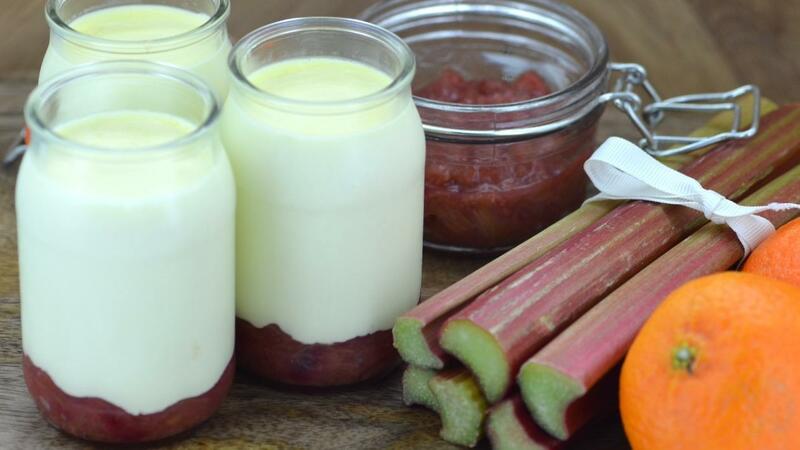 A classic posset with a fresh rhubarb compote at the base. This recipe can be served as small shots for those residents who need calorie recovery or build up. In a pan add the water and caster sugar then bring to the boil. Add in therhubarb and simmer for 5 min. Blend the compote then pipe equally into the base of the ramekins and chill. Place the MEADOWLAND Double in a pan and bring to the boil with the sugar, milk powder, lemon zest and orange zest for 3 min. Remove from the heat and whisk in the lemon juice. Pass the mixture then allow to cool slightly before adding into the ramekins.